Team Midsummer had the amazing chance to interview Caleb Roehrig and we love him. Check out our interview here. I read this book in a matter of hours. The only reason I put it down for a few minutes was to run from one airport terminal to the other so I could make sure to catch my flight home. Even then, I held the book in my hands, unwilling to let it go or lose my place for too long. When Caleb said he set out to write a thriller, I’d say he succeeded in spades. First things first, let’s talk about characterization. Flynn, oh, Flynn, my sweet snowflake. He is so well rounded as a character, he has his flaws, he has his snarky sarcasm that made me laugh out loud (to the chagrin of my neighbor on the flight), and he has a struggle of accepting himself for who he is. He is brash, he is ridiculously self confident in that he will find clues and information that the cops can’t find about his missing girlfriend, and I assume he must have an extremely trustworthy face, because a lot of people he doesn’t really know open right up to him. Although, I think my main concern here is that those people’s parents didn’t teach them to not talk to strangers. But again, I could always talk to a wall, so I’m not the best judge! January is somehow able to be likable despite all of her flaws and her incessant lying. For instance, even waaaaaaaaaay before the events in Last Seen Leaving, she was consistently portraying her boyfriend, and so-called best friend, Flynn is a very negative light to those around her. Not only to some of the kids at her new private school, but also to her coworker, who she also pitted against Flynn to make him jealous. She’s definitely a master manipulator, and I credit Roehrig for still creating a character that I was rooting for, even though I kind of hated her too. She reminded me of one of those girls in high school who definitely thought she was better than anyone and everyone, therefore isolating herself from everyone. This story kept me on my toes the entire time. While I do have my reservations about girls just giving up a lot of random information about January to a guy they’d never really met before, I loved that Flynn had this whole Nancy Drew thing going on (Side note: Nancy Drew was way better than The Hardy Boys). He’s definitely a bolder person than I’d ever be. I’d be persuaded to let the cops handle it and then wallow in my own misery, but not Flynn. Which I love. I found it so amazing that he was kind of bad at investigating, and the killer was definitely not someone who I immediately suspected, so I credit Roehrig for laying plenty of false leads throughout the narrative that were pretty convincing. I just fangirl flail about Kaz and Flynn. Just, go read this. Keep up with the rest of our LGBT Month Celebration! Alina will have to forge new alliances and put aside old rivalries as she and Mal race to find the last of Morozova’s amplifiers. But as she begins to unravel the Darkling’s secrets, she reveals a past that will forever alter her understanding of the bond they share and the power she wields. The firebird is the one thing that stands between Ravka and destruction—and claiming it could cost Alina the very future she’s fighting for. I spent three books thinking Mal was gonna be the worst thing ever and I just didn’t see it at all? Maybe because I was expecting the worst, but I think Alina could have done a lot worse. Like the Darkling, for instance. And I get that that seems to be an unpopular opinion in the fandom, but here’s the thing, the relationship that Alina has with the Darkling reminds me so much of Buffy and Spike in Season 6 that I just cannot get behind it. Every private interaction she has with the Darkling he talks about how she could “balance” him and make him a better man, and both times her response is that he wouldn’t do the same for her. She wants him, but she doesn’t want to want him, and that I think is the most important thing about Alina. She takes to power well, she’s a natural leader, but she doesn’t want to be a monster. The Darkling is a terrible person. He has no qualms about using/killing people to get what he wants. Those rare moments of humanity we see in him are only brought out by Alina. He’s relying on her to be his gatekeeper, and honestly, I’m not here for that. But I also think that’s what makes readers love him so much. Bardugo does an amazing job of making this character, who should be totally unlikeable (he is the antagonist, after all), not just likable, but somehow relatable. I don’t have super strong feelings on Mal one way or the other. I think the fact that he was important to Alina made him important to the story, but also that she didn’t necessarily need him. I will say that the best part about Mal is that he recognizes that. Like I’ve said, I kept waiting for him to screw up so badly that I would hate his guts and that never happened. Instead, I was always surprised by how much he cared about Alina to stop being so selfish and step aside for her be as powerful as she was meant to be. I am not ruined. I am ruination. Nikolai continues to be the best thing ever. I love how just completely dramatic he is, but it’s not obnoxious, it’s just who he is. Bringing honesty and candor and just overall lightness to everything. I don’t have anything else to add. Except that I wish he were real. I did like the ending, though I think it may have been more impactful if it had gone the other way. Overall, I loved the series, I read all 3 in 3 days. They were so easy to get into and they kept me on the edge the whole time I was reading. That being said, I don’t know if I would have loved them as much if I had read them before Six of Crows so I’m glad I read that first. 4 bards for the conclusion of this wild ride. Shadow & Bone left me with mixed feelings. The book had definite strengths, but the one thing I felt detracted from the novel was the decision to carry it into a series. While the characters, world, and plot were engaging, the story could have been ended in this book and it would have been every bit as successful. That being said, it was well worth a read. 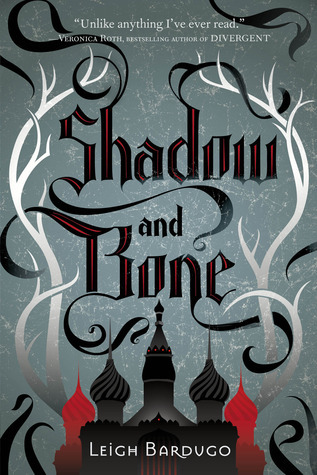 Shadow & Bone is built on two major premises: the existence of Grisha and the Shadow Fold. While the Grisha are confusing at first, as with all great fantasy, the deeper the author leads the reader into the story, the more explanation is given. The concepts are a bit much to keep track of in the early chapters though, so the book opens with a list of the common Grisha types, giving the reader a reference point when terms such as Summoners, Ethelriki, Squallers, and Heartrenders can seem overwhelming. However, the Grisha are not nearly as confusing as the Shadow Fold. Formed hundreds of years before by a Grisha Darkling, known as the Black Heretic, the reader is told how it was once a lush, green farming valley, before becoming a black swath across the landscape, full of grey sand, darkness, and flesh-eating monsters known as Vulcra. It’s a top vacation spot. (Not really.) But even when other Grisha powers are explained, the Darkling and Fold are just sort of there with no offer of a full back story. Maybe the sequels remedy this. Into this world of Grisha and the Shadow Fold comes Alina Starkov. An orphan, she showed no aptitude as a Grisha when tested as a child, and is serving in the king’s First Army as a mapmaker, a routine day to day existence. Her biggest challenge in life has been finding a place to fit in. After Alina unwittingly unleashes a burst of Grisha power, revealing that she is a Sun Summoner (a rare form of Grisha, not seen in Ravka for centuries), her life transforms completely. There’s only one problem – Alina has no control over summoning or using the power. From this point, the narrative takes on a bit of the familiar “reluctant hero” trope. Alina must learn to access and control her power all while adjusting to life in a formal court and the pressure of being the “savior” of Ravka. But Alina is so much more than just a reluctant hero. The journey she undertakes to understand her true self and what she is capable of is dependent on her acceptance of herself as a person. It is not until she can make her own happiness a priority and embrace herself on her own terms that she fully comes into her power. She is a hallmark, not only of someone who is merely born special, but of someone who must come to accept their true identity and self-worth to succeed. While she stumbles along the way, the themes of self-esteem and maintaining a personal identity in the face of outside forces are powerful. My other personal favorite aspect of the book was Bardugo’s depiction of Alina’s relationships with best friend Mal, the Darkling, and her fellow Grisha. Alina’s conflicted, confused interactions grapple with ideas such as coming to terms with the reality of people coming and going in your life, the bonds forged by surviving in harsh circumstances, and the problems that can arise when becoming involved with people of power and influence. While the fantasy aspects of the novel and the world built are incredible, it is the brilliant characterization of the book’s female hero and her personal journey which are the highlights of the story. This review submitted to A Midsummer Night’s Read by Valerie. Gemma’s plan is working (she’s finding it hard to resist Josh), but she’s finding herself in embarrassing situations (how could a bathing suit fall apart like that!?). Is it coincidence or is someone trying to expose her true identity? And how will Josh react if he finds out who she is? Oh boy. I went into this novel being super excited and ready to have a new summer read. The first few pages are so awkward and weird when the main character gets dumped in a parking lot at Target, but then refuses to acknowledge the fact that the relationship is over for a few good days. Which then makes it easy to believe that as a young teen the character had an entire summer of intense denial. I was especially bummed that I knew what was happening from almost the very beginning, and it just made reading it a lot less fun. In addition, there is just an unrealistic amount of naivete that Gemma displayed throughout the entire narrative was both unbelievable and ridiculously annoying. Josh, however, I adored as a character, and I might be a little bit partial due to the fact that him and my boyfriend share a name and some similar personality traits. It really just all ended up being like a really juvenile episode of Revenge (even in the same setting!) 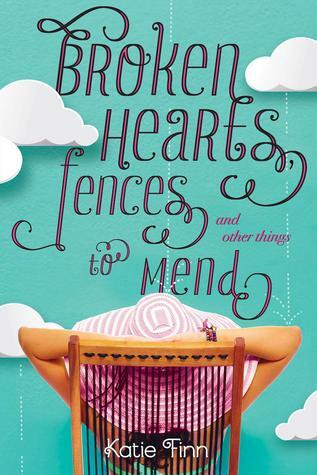 I hate that I didn’t enjoy this novel, because Katie Finn is really just the pen name for Morgan Matson, and if you are a regular reader then you know that I adored Since You’ve Been Gone. Seriously though, there’s going to be more? 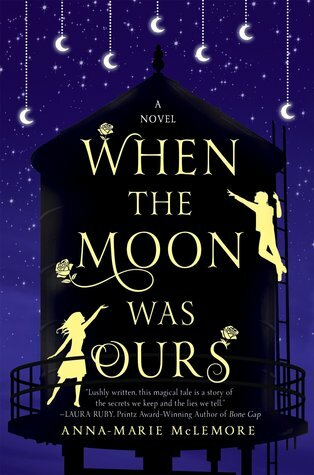 An ongoing war in a series of books between two girls? This is definitely a series I’ll be skipping.